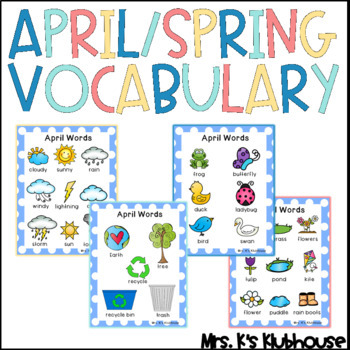 There are three pages of April vocabulary words to help your beginning writers. I place a copy in my writing center and a copy in my students' writer's workshop binders. This has been a helpful resource for my students! Included are weather words, spring animals, Earth Day, and other spring-related words!